Time to get serious about some scenery on one of my T-Trak end cap modules. Plan on having small rolling hills covered in Bluebonnets on the module. The problem is I am having a hard time finding a suitable material to model the bluebonnets. Any suggestions would be greatly appreciated. Re: Bluebonnets in N Scale? 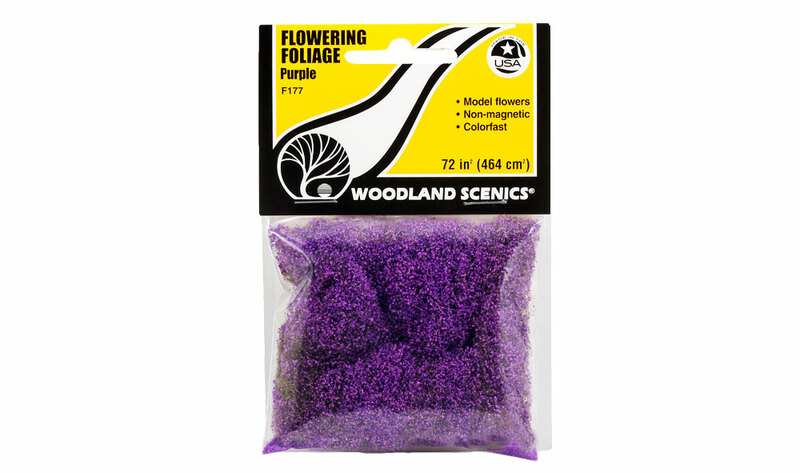 You can get finely ground foam in flower colors from Scenic Express. These all over the hills? Thanks but I already checked and they don't have blue material. Only if I win the lottery LOL. I am actually hoping someone can give me a lead on pre-packaged blue "Flower" foam or a procedure and material to make my own. I haven't been able to locate any blue foam so far. How about Woodland Scenics? More purple than blue perhaps. I this one really Woodland Scenics? Or some kind of a copy? Timberline scenery "Wildflowers groundcover": Part Number:352 Series, the light blue one and you can easily tone them down with a darker blue oilpaint deluted with some terpintin....? I ran into the same problem trying to represent bluebells for springtime woodland areas. I finally found a kitchen sponge the correct color of light blue, but it was too soft to easily pulverize to the right size. I finally figured out that I could make the sponge brittle by putting it into the microwave for a few seconds (WARNING: do only a couple of seconds at a time, otherwise the sponge might catch on fire! What's that smell?) which allowed me to put pieces of it into a blender, then sieve through a tea strainer for N scale sized bluebells. Liquid Nitrogen would have been the best way to pulverize it, but didn't have any around. Thanks Grove, I will check it out. @GP40X , go up to your local salvation army or re-store- I bet you will find a used blender there for 5-10 bucks and a used microwave for 20. 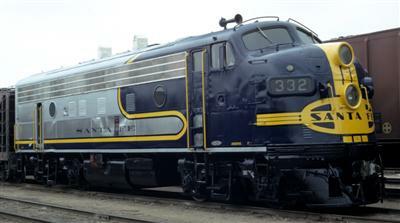 Kato has offered the bluebonnet scheme on its F units but they are hard to find.